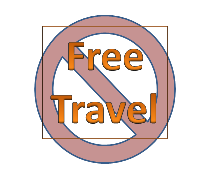 From Saturday 1 September, 2012, GoBus are no longer accepting the DSP Free Travel Pass on their Galway - Dublin express services. This has not been announced in the media or their website, but there are signs in the front of their buses advising that their participation in the scheme is under review. See the Regional Buses page for links to alternative services on this route.